April is a very special month for me and it is by far my favorite month of the year. April is a time when we begin to shake off the cold from winter and begin to look forward to what the spring and summer will bring. April is awesome not only because of my birthday, but also because it marks the start of a new golf season. In April, the ranges fill up as everyone shakes off the winter rust, the courses start to get nicer (or prepare to open after a harsh winter), and the Masters Tournament is finally here. This is the first of four major championships in professional golf and it is held at the same place every year, Augusta National. 1. The Masters is the only major that is always played at the same place. Ever wonder what this symbol represents? The bottom of the flag is where Augusta National is located. 2. The Par 3 Contest- The Masters is one of the only tournaments that has a mini tournament before it. This is not a very serious tournament (although some do take it seriously), but it is something that can lighten the air for fans and players before the real tournament begins. Did you know that no one has ever won the golf tournament after winning the Par 3 contest? 3. The Green Jacket- The winner of the Masters Tournament is always presented a green jacket as their trophy, arguably the most coveted item in all of golf. 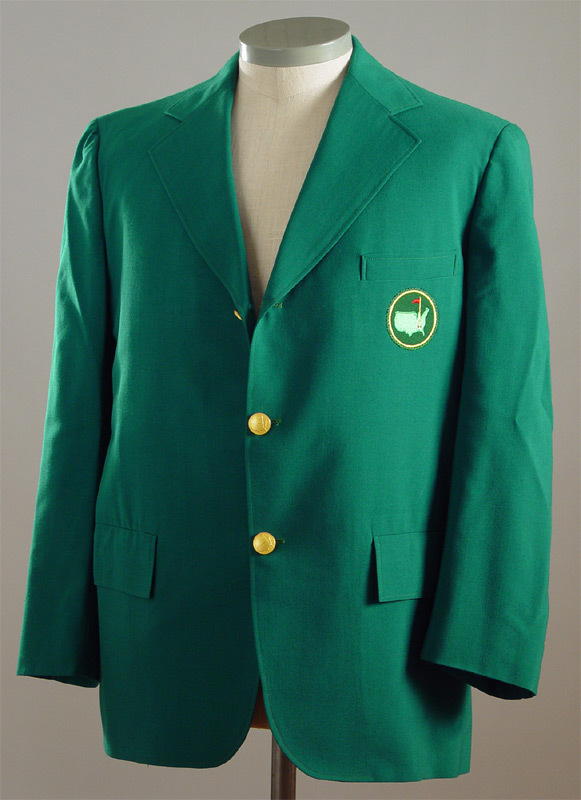 If you own this green jacket, then you truly are a master of golf. 4. The History- Some of the greatest moments in golf history happen at the Masters. From tiger’s chip shot to Bubba’s 40 yard hook around trees and onto the green, every player has a chance to make Masters history on any given shot. ← Who? From where? About what? I agree with you about April. It’s my birthday month, but it represents the beginning of spring as well. I enjoyed the Masters fun-facts too! I’m curious, have you ever gone to a professional golf tournament? I haven’t myself, but I used to play for my high school golf team. I give you credit for watching golf on TV. Personally, I love to play, but it doesn’t hold my attention otherwise. Nice post! Great links by the way! 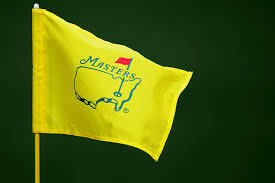 I have been to many professional golf tournaments, but I haven’t had the chance to go to the Masters yet. As for watching golf on TV, I rarely do unless it is one of the major championships. I am not a golfer, nor have I ever attempted to be one, but for some reason I have always been intrigued by it. I’m sure it has a lot to do with the fact that my dad, grandfather and uncle are all into golf and always watch the big tournaments. Most people think watching golf on TV is boring, but I always really enjoy it. I love seeing new or previously unrecognized talent rise to the top and compete with the “big” guys giving them a run for their money. I knew the first and third facts, but the second one was news to me. Always love to learn something new so I sound my knowledgeable when I’m around my dad.